Before you skip that next dentist appointment, or decide to hit the sack without brushing your pearly whites, have a think about this — gum disease has been linked to heart disease. At least, that's what researchers found by orally injecting mice with four types of bacteria that cause gum disease, which raised inflammation and cholesterol in each mouse. While these results are preliminary and only found in mice, the study researchers hope this will prompt the American Heart Association to recognize the link, and lead to a difference in the way doctors diagnose and treat heart disease patients. Over six months, University of Florida researchers studied how four types of bacteria — Porphyromonas gingivalis, Treponema deticola, Fusobacterium necleatum, and Tannerella forsythia — spread from each mouse's mouth to the heart and aorta, the body's largest artery, as well as the lung, liver and kidney. The bacteria increased inflammation and cholesterol in each mouse, which are also heart disease risk factors. 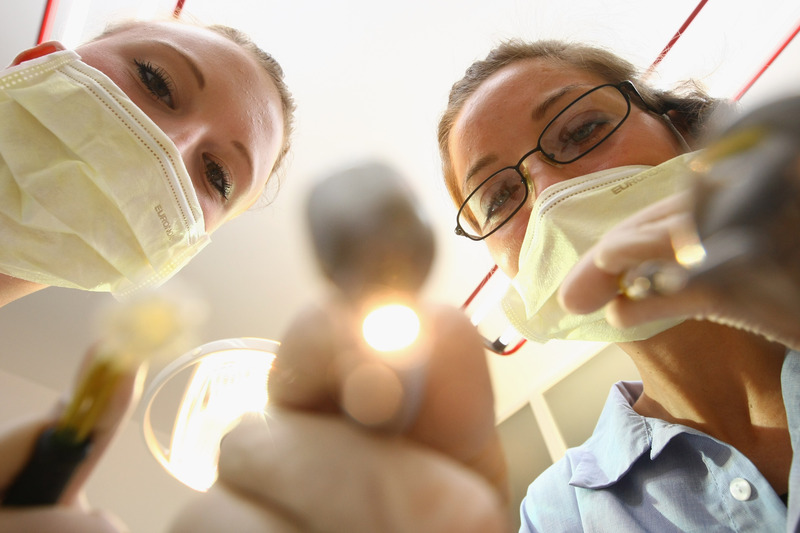 In Western medicine, there is a disconnect between oral health and general health in the rest of the body; dentistry is a separate field of study from medicine. The mouth is the gateway to the body, and our data provides one more piece of a growing body of research that points to direct connections between oral health and systemic health. While the American Heart Association claims these findings are not conclusive of a link between the two known diseases, the AHA notes the two diseases share some of the same risk factors. This research was presented during an American Society for Microbiology session, and the study results have not been published yet. However, it's just one aspect of a larger research project being conducted at the University of Florida, which is investigating how gum disease affects the rest of the body. Study researcher Alexandra Lucas, a Cardiologist at the University of Florida College of Medicine, hopes the findings from this study will raise awareness among doctors treating heart disease, and lead to additional research between heart problems and oral health issues.